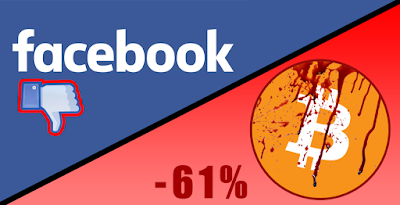 The pressure from all quarters appears to be building against the monopolies that internet giants Google, Facebook, and even Twitter hold over the public as more and more sovereign governments are focusing their legal and regulatory ammunition squarely at the social media behemoths. On April 9, three more countries joined in on a lawsuit against Google and Facebook using the guise of unfair trade practices in their banning of advertisers interested in promoting cryptocurrencies. Internet giants are wading into more trouble as 3 more countries have joined to file a joint lawsuit against them for banning crypto related advertising. The three countries which have joined the consortium of Russia, China, and South Korea are Switzerland, Kazakhstan, and Armenia. This comes amidst the fact the cryptocurrency and blockchain associations in Russia, China, and South Korea had filed a lawsuit against the internet giants for disrupting trade. Yuri Pripachkin, the President of the Russian Association of Cryptocurrency and Blockchain [RACIB] in a statement says that he believes the Internet giants are colluding and working together like a “cartel” trying to manipulate the market. The irony here is that Russia and China have put on their own stringent regulations over cryptocurrencies, but see the advertisement bans by Google, Facebook, etal... as a much bigger issue of censorship by corporate entities that could lead to much more such as their current censorship of media outlets like Russia Today.